NEW Shakeology Review 2019 [WARNING]: Does It Really Work? Shakeology is a meal replacement shake claiming it can help one lose weight with a combination of exotic superfoods. There’s added adaptogens for handling stress, enzymes for proper digestion, and antioxidants for immune system support. Shakeology claims it can help one increase their energy levels, control blood sugar levels, build and maintain muscles, as well as several other health benefits. 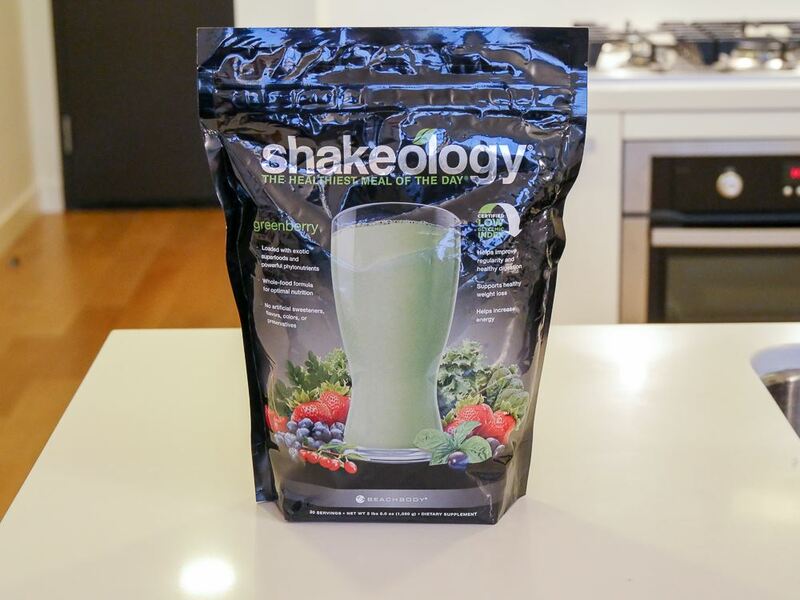 This Shakeology review will go over all the available details on this meal replacement shake, to help answer the question of what is Shakeology. In reviewing many kinds of weight loss meal replacement shakes our review experts concluded the best overall is 18Shake. It helps to suppress appetite for hours and customers mention it’s easy to blend and tastes great. Learn more about 18Shake by visiting the link here. Pea Protein: Extract of a legume. This protein source is low in the amino acids cysteine and methionine. Because of these lacking amino acids, it needs to be mixed alongside other forms of protein, otherwise it would not satisfy as being a quality source of protein. When using this kind of protein it’s important to supplement with additional proteins to make up for the lack of amino acids. This can potentially lead to a deficiency which can cause numerous health issues. This is what’s known as an incomplete protein source. • Bloating, gas, and indigestion. • Diarrhea and stomach pains. Whey Protein Isolate: An amino acid rich protein which is extracted from the cheese making process. Studies have shown it is easy to absorb, and that it can help promote lean muscle gains. In its isolated form it contains a minimum of 90% protein by weight. While this is a very wholesome source of protein, it typically does not need to be mixed with other protein sources unless it’s only added in a small amount. There is no mention of the amino acid content in this shake. Without being able to look at the amino acid list, it’s impossible to judge whether or not this is added in a high enough amount. It’s not explained why the company has decided to add other forms of protein which have not been proven as wholesome as whey. Sacha Inchi: Plant found in parts of South America. It’s known to have a high amount of essential fatty acids. It is a poor source of the amino acids methionine and phenylalanine. This requires extra supplementation from other protein sources to prevent possible side effects. Both this and pea protein have to be supplemented with other protein sources to avoid deficiencies. Since it does have a high omega-6 fatty acid count, there is a possibility that it can contribute to side effects such as inflammation. Some users have also said it has a fish like taste. There is a lack of information provided by the makers of Shakeology to help showcase what the amino acid content is like in this. The list provided here has the top ranked meal replacement shakes. Cordyceps: A fungus grown on caterpillars that’s used to improve immune function, and increase athletic performance. It was used in ancient Chinese medicine as a way to improve vitality and to prevent aging. Though studies have shown it to be ineffective for athletics, and research into its immune system boosting effects are also limited. Therefore, evidence of it having any benefit is unknown. Proper dosing is also unknown, as there are mixed reports on how much one should supplement with. Due to the lack of these studies, it’s unknown if the amount added to Shakeology would be wholesome. When taking unknown amounts of an ingredient which is untested there’s a possibility for potential side effects. Judging from the available details on this ingredient, it appears to be a fad additive with no known practical use. So using it with caution is recommended. There are far too few insights into what this might do when supplemented. Maca: Plant extract that is found in the Andes mountains in Peru. This is often taken as a cure all, and in particular for its rich amino acids and fatty acids. It can also be added as an aphrodisiac, but it’s unlikely this was the reason why it was added to Shakeology. It can help provide many benefits including improving energy, getting rid of fatigue, and improving overall memory. Though it does contain protein, vitamin C, and vitamin A, it’s unknown if it’s any better than other similar but cheaper priced foods. This is widely considered one of the richest sources of vitamin C. The issue is that when it’s transported this may be reduced. Fruits like these are better eaten at the source, as the degradation of oxidation can lead to a reduced vitamin and mineral content. Similar to other Shakeology ingredients, this additive has been used traditionally by natives for a unique purpose. But up to date research has been limited. Due to it having an acidic taste, it has to be diluted and often added with sugar. Traditionally it was treated with water or milk. This ingredient is also threatened to become an endangered fruit. Our expert crafted list showcased the top 10 best meal replacement shakes made to improve overall weight loss and health. • Diarrhea, stomach cramps, constipation, and vomiting. Other concerns to consider are that it can reduce blood clotting, it can have detrimental effects for diabetics, and those with G6PD deficiency can experience complications. Often when this ingredient is treated it can greatly reduce the overall content of vitamin C. Especially when it is dried, this additive is known to have limited nutritional value. Because of this lacking information, it’s impossible to determine if it’s worth adding to this shake. Ashwagandha: Herb traditionally used in ancient Ayurvedic medicine. This is added to help treat stress, and to improve overall wellness. Recent studies have shown it can help improve virility, protect the brain, prevent anxiety, and even promote anti-cancer effects. There is a limited amount of information on what kind of process is run by the body to create such an effect. There is a recommended amount to use, but it’s unknown how much is found in this to help determine if Shakeology has a healthy amount. A common issue with Shakeology is that they add ingredients like this which have to be added in a specific amount to determine whether or not they would actually be beneficial to use. Without much more concrete studies it’s impossible for one to determine for sure if they are receiving a wholesome amount. Even things like body weight can affect how well one responds to ingredients like this. • Nausea, upset stomach, and diarrhea. This can also leave a chalky taste in the mouth, which can linger on long after one has eaten it. MSM: Chemical extract that’s found in humans, plants, and animals. It’s claimed to have many health benefits. • Bloating, diarrhea, nausea, and vomiting. • Itching, increased suffering from allergies, and redness. It has been shown effective for joint health, but this is not one of the claimed benefits of Shakeology. Research has shown that taking up to 3,000 mg a day would be healthy. It’s unknown how much is added in this meal replacement. It’s worth noting however that there has been no medical use approved by any government institution. This is likely because the information presented is lacking, and not substantial enough to help prove its use as an effective additive. Find out which meal replacement shakes were featured in the top 10 best of list by clicking this link. • Upset stomach and decreased appetite. Therefore, it’s unlikely to have any positive benefit when supplemented. Fortunately, when taken in high amounts it’s unlikely to increase the risk for serious side effects. Most studies performed on this ingredient have long been long, and there’s a lack of up to date reliable studies. Chlorella: Algae grown in freshwater. It’s high in fats, carbohydrates, and vitamins. • Gas, nausea, and stomach pain. • Diarrhea and green stools. It’s not advised to use this ingredient if one has a weakened immune system, as it can potentially cause sickness. This is because of the bacterial nature of this ingredient which may cause damage to the immune system. This ingredient is considered a superfood, due to its richness in vitamins and minerals. However, there are potential side effects particularly within the first week of use. Special caution is advised for those who have sensitivity to iodine, and those who are allergic to certain molds. Pregnant and nursing mothers are also advised not to use this. Spirulina: Blue-green algae used to improve brain health and reduce liver fat. They mention that taking this ingredient should be used with caution, as it can hold unto heavy metals like lead which can cause organ toxicity. For a list showcasing the top 10 most effective meal replacement shakes for weight loss, click on this link. Most studies on brain health have only been performed on animals, and it’s unknown what kind of an effect it may have for humans in this regard. Furthermore, some users have an allergy to this additive. There is also a lack of information on how much should be taken at one time. So while it’s added as a protein source, it’s far too limited and would require substantial dosages in order to notice an effect. It may also interfere with certain prescription drugs. Nom-GMO Fructose: A sweetener extracted from fruits which is known to be the worst sugar source for overall health. • Fatty liver disease, metabolic disorders, and increases the risk for obesity. • Dental decay, issues with blood sugar, and an addiction to sweeteners. Even when accounting for the same amount of sugar grams added to food, fructose was far worse at promoting higher triglycerides in the body than standard table sugar. So it’s not an entirely harmless sweetener, there are many potential risks with this unnecessary ingredient. Overall the ingredients in Shakeology are not the most wholesome. These additives have shown the possibility for unwanted side effects, some of which can not only detract from weight loss, but they may even increase the risk for weight loss. For the list of the top ranked meal replacement shakes, click on the link here. • Vanilla- A company best seller. • Strawberry- Said to offer a sweet and refreshing taste. • Chocolate- Another company bestseller. • Café Late- Made with whole coffee fruit and containing some caffeine. • Greenberry – Said to have a fruit forward profile and tangy taste. • Chocolate Vegan- Made without any dairy products. This flavor has been reformulated. • Tropical Strawberry Vegan: Also free of dairy and made with several fruits. This is also reformulated to ensure a better tasting flavor. Mixing and matching is also offered for larger purchases. Shakeology flavors are sold at the same price and quantity. There’s also slightly different ingredients and sugar content depending on the specific flavor. While vegan flavors are offered, this needs to be replaced with plant protein which has limited amino acids in comparison to something like whey. It’s important to consider the different Shakeology ingredients when once changes the kind of option offered. If one decided to avoid dairy then there is a limit on the kind of nutrition one will receive. As you’ll see in the “Customer Opinions of Shakeology” section, many echoed the same opinion that they did not find the taste pleasant. Click this link to see an expert crafted list showcasing the top ranked meal replacement shakes for weight loss. Shakeology ingredients have 16 grams of protein from pea, whey, and sacha inchi. Information on sacha inchi isn’t well known, and pea protein is an incomplete protein source. Whey isolate is a quality source of protein, but its unknown how much of the 16 grams come from pea and sacha inchi. Also, if one selects the vegan option then no whey protein is found and only plant sources of protein are used. Therefore determining what is Shakeology can be answered differently depending on what specific kind one is choosing. See which meal replacement shakes made it to the best of list by clicking the link cited here. There’s also a high amount of sugar at 7 grams, of which comes from fructose. Fructose is considered one of the worst sweeteners, since it can promote metabolism disorders and weight gain. It’s also a cheap sweetener that isn’t well processed by the body. There’s many ingredients added in Shakeology supplement that are uncommon in meal replacements. Unfortunately, the information on the benefits of these additives isn’t well known. Several of these ingredients are also known to potentially cause side effects. While this sounds very impressive, the same can be said about any shake which contains fiber, protein, carbohydrates, vitamins and minerals. All these kinds of additives have the exact same kind of effect on the body. There are of course ingredients like superfoods, adaptogen, enzymes, and probiotics added. However, this also comes from often untested ingredients, some of which have sown the possibility to cause side effects. Many of the superfood ingredients are pricier, and there’s not enough offered to help prove whether or not it’s actually an effective addition to this shake. Another concern exists about h quality from Shakeology Amazon purchases. On Amazon.com there are certain sellers which fail to provide a fresh batch. When one makes any online purchases there is a risk of not purchasing the most up to date version of Shakeology. While not a problem caused by the company, it’s important to consider where one purchases this brand. Also, the return policy can be nonexistent if one buys it from particular sellers. So there’s no quality control assurance or money back return offered. Find out which meal replacement shakes made it to the top 10 list by visiting our expert crafted list here. Direct sales on Shakeology are offered from the manufacturer, a 30 serving bag costs $129.95. So if you drink 2 shakes a day, the total cost would be $259.90 for a month’s supply. This high price comes at the cost of cheap sweeteners, low amino acid scores protein in pea and sacha inchi, and possible side effects from the added superfoods. When considering diet plans it’s important to look for the most nutritious blend of ingredients. Shakeology diet plan simply has too many unwanted sweeteners which can promote weight gain. Ingredients like spirulina and chlorella have been shown to be potentially toxic, and several other ingredients have not been proven to have a beneficial effect, such as cordyceps. This raises the overall price unnecessarily. Another option for weight loss exists in the 21 Day Fix Shakeology plan. This includes a fitness program and nutritional support. The intended benefit of this is that you get 6 exercise routines and a trial membership to the BeachBody Club. Little information exists about this plan, but it does require strenuous exercise on the part of the user. In looking at information about the Shakeology 21 Day Fix it’s clear that it’s challenging to follow. Though a lot of protein is added, it may not be enough in calories to be usable as a 3 day plan. 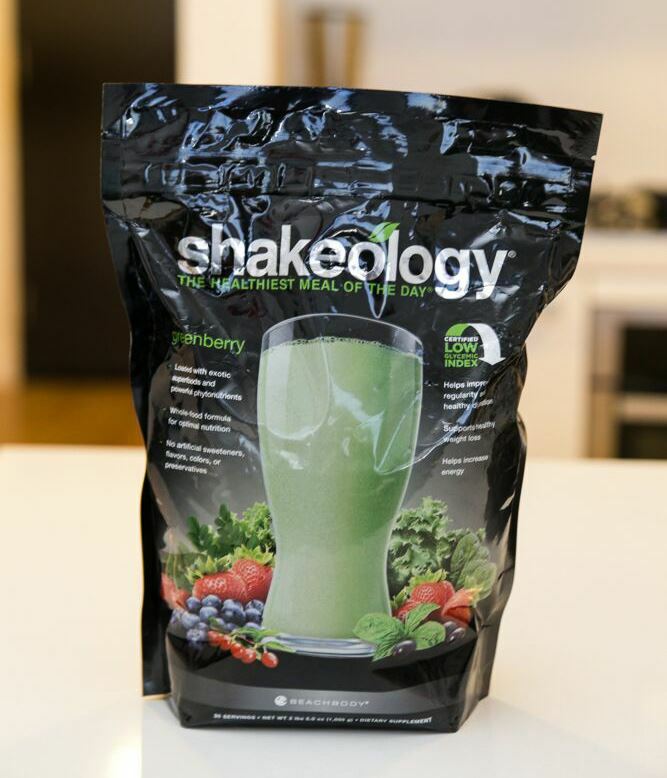 Overall the Shakeology price is costly for the overall kinds of ingredients added. There should be much more nutritional ingredients added to justify such a high price. You get a blend of cheap sweeteners, mixed protein which isn’t as good as whey, and some have found it difficult to cancel Shakeology shipments. Follow the link provided for a comprehensive list of the best meal replacement shakes. The company currently has 705 complaints on Pissed Consumer, and 884 complaints on their Better Business Bureau page. BeachBody Shakeology has hundreds of complaints about the company setting people up for month to month contracts. Many were concerned to find they couldn’t cancel their accounts. There were also complaints about the lack of customer service support. Many had to call often and make complaints without any reassurance from the company. Learn about the top ranked shakes by clicking this link; our review experts have created a list showcasing which meal replacements were rated as the best overall. Some mentioned they felt scammed into the monthly contracts, and that they were forced into something they didn’t know would be hard to get rid of. • 150 people had complaints related to advertising and sales. • 307 people complained about the products and or service. • 352 people had issues with the billing, which was often due to the claimed automatic billing. • 29 people said they had either delayed or never delivered products. • 6 people said that they were not satisfied with the guarantee or warranty. So those with celiac disease or who are looking to be free of gluten cannot eat it due to it being made in a facility that produces gluten free products. One good thing the company offers is a forum where people can post questions and give insights into how they are doing with Shakeology. Judging from the occasional bad review or negative experience, it’s clear that the company does not ban any thoughts that go against Shakeology. The company has been around since 1998, and they are most popular for selling in home workout plans. Click here for a comprehensive list of the top 10 ranked meal replacement shakes. People often described the taste as being bitter, with an odd artificial sweet taste. This was a major issue in Shakeology meal replacement, as some felt it was undrinkable. There were also complaints about the Shakeology recipes offered. Some mention how it did not blend well with added fruits and vegetables, and that it had a chalky taste even on its own. There was also concern over the sweetness, and some had to use unsweetened dairy or dairy alternatives as it was cloyingly sweet for some. For example those who looked up vanilla Shakeology recipes often added how even though vanilla is considered a base flavor that mixes well, that it did not leave a good taste according to users. This is per serving and while it’s not a lot, it still does add to one’s daily caffeine intake. There were also some customers who mentioned they didn’t understand why this shake could be so expensive, when you consider the kinds of ingredients used. Our review experts have compiled a list featuring the best meal replacement shakes for weight loss. Shakeology alternatives with similar but better ingredients are available. The benefits of these meal replacement shakes are that they offer wholesome nutrition, without any of the unwanted additives found in Shakeology meal replacement. They also have a full vitamin and mineral profile to ensure you’re receiving the same nutrients you might find in a full meal. This makes it likely your body will function at a high rate. 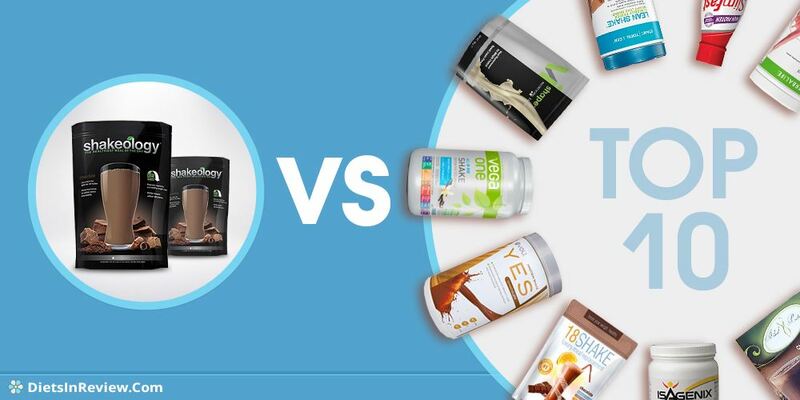 Many of the kinds of ingredients used in Shakeology are not needed in a meal replacement shake, and other brands offer the same kind of nutritional output yet with a less costly, and more beneficial overall ingredients list. What Shakeology claims to deliver is a comprehensive source for nutrition that is greatly beneficial, but not all the ingredients have been proven effective. This is why it’s important to look for a meal replacement shake that has a blend of proven ingredients which don’t have questionable use. Our review experts have looked at many kinds of Shakeology alternatives to find the best meal replacement shake on the market. To find a Shakeology alternative, click the link provided here. A popular option for meal replacement exists in both IdealShape and Shakeology. Both offer a good amount of vitamins and minerals, hunger blocking ingredients, different flavors, and whey protein. 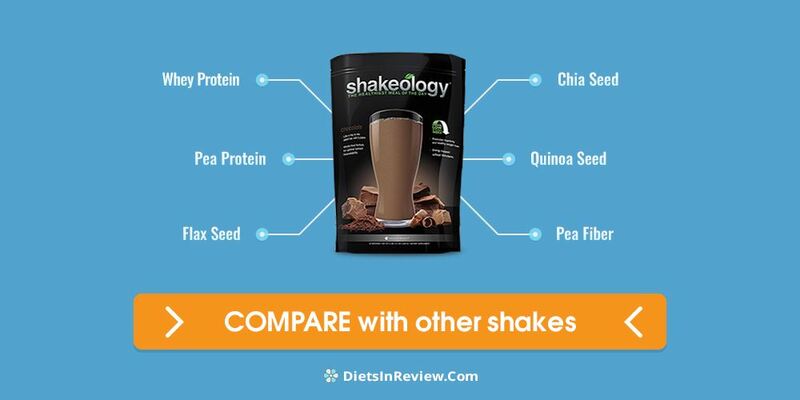 The difference is that Shakeology has more protein, sugar and carbohydrates, and less fat and cholesterol. Both are decent meal replacement shakes, but there are better options such as the top ranked meal replacement shake 18Shake. This weight loss shake has just 1 gram of sugar from stevia, less calories, no artificial additives, no soy, and only protein from rich whey protein. It’s a more wholesome Shakeology substitute, and it’s also a better IdealShape substitute as it has a more wholesome nutritional profile. These two other shakes have numerous customer complaints, and in reading the ingredients list and researching what’s added it’s clear to see why this divide occurs. Many of the additives re either unproven to be effective, or there are concerns about their use due to the unwanted side effects which are possible. CONCLUSION - DOES SHAKEOLOGY WORK? Shakeology might catch your attention due to its claims of offering unique superfoods. It's important to look at the research and customer complaints however. Many of these ingredients have potential side effects, and some lack studies to show what kind of an effect they may have. This Shakeology nutrition review revealed how customers often complained about this shake being greatly overpriced and having an unpleasant taste. Better alternatives to Shakeology are available that have a well-rounded amino acid profile, no fructose, clinically studied ingredients shown to produce results, and a price worthy of its ingredient quality. 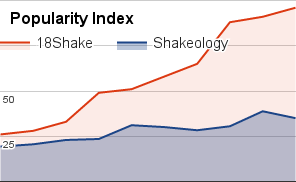 In looking at the Shakeology nutrition facts it became clear that there is a lacking amount of nutrition. High amounts of sugar are added which can actually support weight gain. The better option is available in 2019’s best, 18Shake. This meal replacement is made only with whey protein, and you can even read its amino acid score on the official website. They even offer testimonials from customers who have lost significant amounts of weight. Their all natural formula has shown impressive weight loss results that its users continue to benefit from. There are no artificial ingredients, cheap filler, binders, stimulants, or any unwanted additives. The nutritional yield is also wholesome, and the company is transparent in revealing exactly what is found in this shake. It contains a rich source of healthy ingredients which can promote hours of appetite suppression. This is key in weight loss as one is replacing calories in a meal which can be upwards of 1,000 or more, and substituting it with a 90 calorie shake with high fiber, protein, and nutrients. 18Shake is also made in a GMP certified facility to ensure routine quality control inspections. It’s because of all these reasons including its weight loss effects that our review experts have rated it as the best overall meal replacement shake for weight loss and overall health. Learn more about 18Shake by following the link here. I have not had any stomach upset, it tastes delish and I really feel energized. It is like having dessert for breakfast. I tried many other meal replacement products including 18 Shake (thin and chalky, mostly just whey which you can buy a lot cheaper at any store.) Shakeology is pricey but soooooo good and good for you. I follow the Beachbody workouts and have lost 25# in 90 days and still going. Someone gave me a box of Shakeology chocolate. I did I like it although I am not trying to lose weight I found that it does pep me up which is good. I did not experience any bloating or digestive distress. I do know that people who are using for weight loss may experience digestive distress because of a process of cleaning out their intestinal track that could be stimulated by this product. I would recommend spiting the single package content over a couple of days if digestive distress is very sever. I love sweets and typically can eat my full but after a serving of Shakeology I couldn’t handle the sugar overload. This was just too much for what I can typically handle, not a fan at all. I love the Beachbody life style plan using the Shakeology for one meal per day. They are so good.. I love Shakeology, and drink it every day for breakfast. I would encourage you to research the ingredients yourself. This article seems quite ridiculous. Yes, I am a health and fitness coach for Beachbody BUT I became one because this program completely changed my life and many people that I know. The shake tastes amazing and has been an integral part of my change. It also HAS to be done in part with clean, portioned control eating and regular exercise. At first, I was skeptical about the product but the reviews on this platform gave me an insight as to what to expect. I have been using Shakeology for over a month now and I must say that the result has been outstanding. I have lost about 10 pounds and the cravings for food has reduced. I plan to continue through the bottle, if you keep it at one a day. I use almond milk since I get bad stomach issues with milk but even with it, Shakeology ended up making me feel so nauseous. My stomach felt so bad I couldn’t continue drinking this. I decided to take a break from it, thinking maybe there was something wrong with me. Sure enough it was the exact same result and with just one single scoop I ended up feeling so bad. There’s no doubt that my stomach pain came from this shake I couldn’t even finish a serving size. For the price paid this this just wasn’t worth it. I tried Shakeology and thought the flavor wasn’t at all how it was described. The worst part of it all is how it made me feel. I never get stomach cramps from food but this has something in it that made me feel so gross. I had nasty stomach cramps and gas that took a while to stop. I decided to try 18Shake instead and it was a night and day difference. The flavor was better, it kept me full for a few hours, and it didn’t give me any side effects. So much more excited for this shake. So after some time with Shakeology and making sure to replace a few meals taking it as directed I didn’t notice any weight loss. I do like the taste of it and it does mix well even with additional fruit and almond milk instead of water. I’ll give it a couple more bags worth to try and see if I can gain any weight loss results but as it stands, there hasn’t been any weight loss. I thought the lack of weight loss might be because I use fruit and milk, but with water I couldn’t help but feel hungry immediately after finishing a full serving. I had high expectations for weight loss after it was recommended by a family member but for me it just didn’t work. They said that they lost weight just by adding in some light exercise but I ended up with the exact same weight. I do like the fact there’s a ton of variety from different recipes and it is easy to mix. Even with 2 meals replaced a day I still didn’t end up losing any weight so I’m not sure what it’s going to take exactly. So I get why they would make Shakeology so sweet, it makes it so more people want to eat it I guess but it became undrinkable for me. This is way too sweet! I don’t see how it is meant for weight loss, you’d think one should be avoiding sweets as much as possible. It might give one the bad habit of getting used to sweets for food. I’m happy to have tried this after it was recommended by a friend. Makes for a very quick meal replacement when I’m on the go and I like the fact it has a high amount of nutrients. It works for my needs. I like the fact that it’s low in sugar too. I have been using Shakeology for a year. I absolutely LOVE it!! I drink it every single day without fail! I lost about 10 lbs the first 2 months on it. I have amazing energy all the time, my cholesterol is perfect, I am very regular. I would recommend it highly!! A friend rec'd Shakeology to me- and just told me to look at the list of ingredients that's in it. I did, it was very impressive- now I have a shake every morning, I'm not trying to lose weight... but I did drop a few lbs! and I feel really healthy. Well, that's my 2 cents. I’m not sure how to feel about Shakeology. I’ve tried a few bags worth and still feel like even with the recipes that the flavor gets stale real fast. My goal was to lose weight and I even decided to use their other products to kickstart my results. Well after a few months of use I didn’t notice any changes at all on the scale. I was fairly regular with the shakes and pills but even with all the effort I didn’t see results. Started another month with a strict day to day use and while I did lose 3 pounds, I immediately returned back to my normal weight. Not sure what’s going on if I’m missing a step or if this just isn’t right for me. Really don’t think it’s worth it with all the discipline I put in this far. Frustrated because I want it to work but it just won’t keep the weight off. Shakeology Nutrition is a company that offers meal replacement protein shakes. These healthy shakes offer a delicious alternative to the tasteless shakes you might be used to. You can use Shakeology shakes as a meal replacement or in place of a snack. The shakes are manufactured by Beach Body Fitness which is known for their many home workout systems. Shakeology shakes have low glycemic numbers and the ingredients include various fruits and vegetables. These shakes include 70 healthy ingredients and they help your body eliminate toxins. You can use these shakes to lose weight, feel energized, lower cholesterol and improve digestion and regularity. The shakes keep you full for a longer period of time and allow you to maintain your energy levels throughout the day. Staying full will keep you from eating and help you lose weight. Shakeology products contain 23 vitamins and minerals as well as various digestive enzymes, proteins and essential amino acids. There are several recipes available so you can add some variety to your shakes. A full program including diet and exercise advice is available on the Shakeology web site. Add 1 full scoop (48 g) of Shakeology powder to 8 oz. cold water or beverage (milk, soy milk, rice milk, etc.) and mix. It can also be mixed in a blender with ice for a creamy, frosty smoothie. The Shakeology program comes with recommendations on how you should eat and workout plans. The workouts available include The 30 and The 50. The 30 is a 30 minute workout that you do three times per week. Once you feel strong enough, you can rotate in The 50 once per week to challenge yourself. Eventually you will move to doing the 50 minute workout three times per week. Both workouts are a good blend of cardiovascular intervals, muscle building strength moves and metabolism boosters. Shakeology shakes can be a great tool in your diet and exercise plan. The shakes aren’t like traditional shake diets. You are only replacing one meal per day with a shake, and you eat several times per day. If you follow the nutrition and exercise program, you are sure to lose some weight and get healthy.